Connecting, disconnecting and repairing hoses is simple with the Premium universal metal hose connector with Aqua Stop. 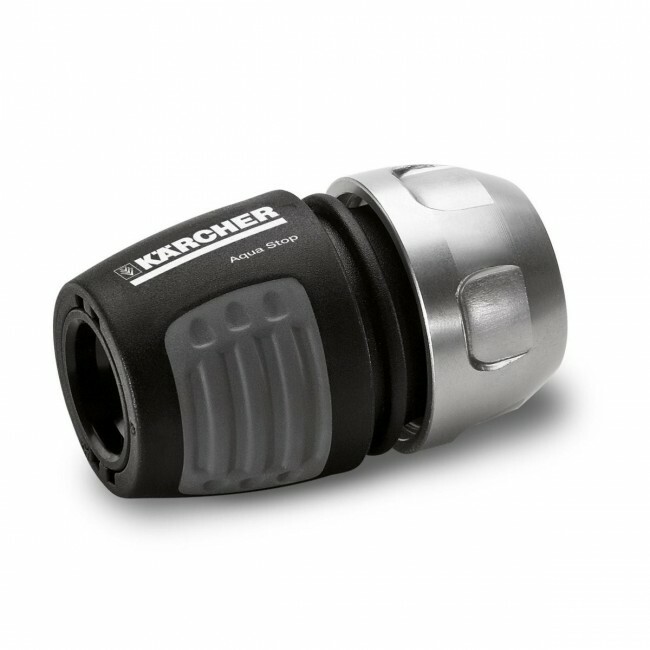 This robust anodised aluminium hose connector has soft plastic recessed grips for easy handling. The flexible push-on system makes it easy to water small and large gardens and areas. Quality tap and hose connectors are the basis of an efficient watering system. The Premium universal hose connector with Aqua Stop compatible with the three most widely used hose diameters and all available click systems. •For watering small to large areas and gardens. •For watering food plants and usefull plants (small beds, individual and pot plants). •For watering ornamental plants (small beds, individual and pot plants). •Cleaning gardening tools and garden furniture.